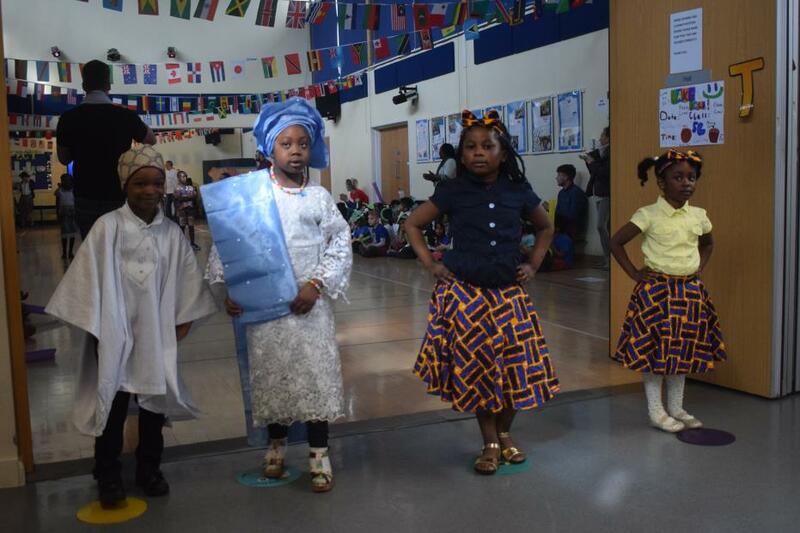 Recently Curwen Primary School celebrated International Week. 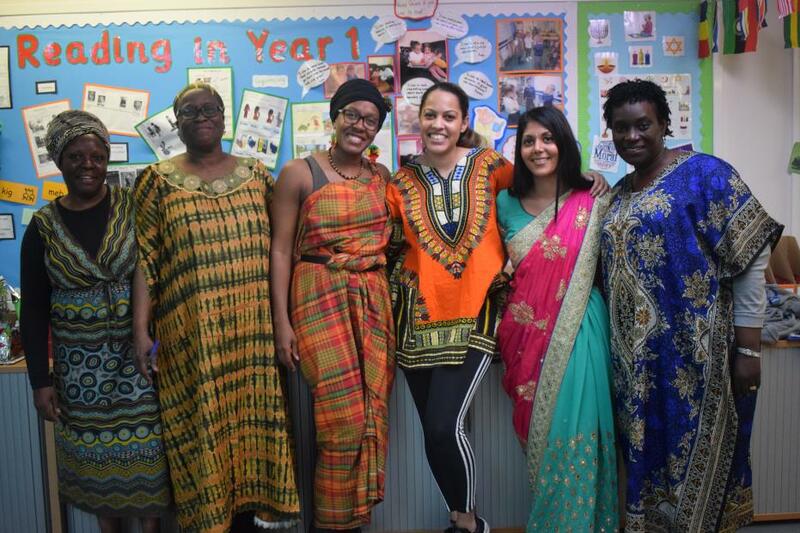 We have over 100 languages spoken and our children come from / their parent’s originate / their heritage is from over 50 different countries from around the world, which is indicative to being a microcosm of Newham. Hence, it’s a celebration of our incredible diversity. The week began with the resilience Citizenship Assembly and Parent Food Competition. International Week commenced with Citizenship Assembly. The teachers chose 2 children from each class that they thought had shown resilience this year. They were looking for children that try hard in all lessons, never give up and help other children to be resilient. The nominations were sent and the resilience champions were announced during assembly. They received a resilience badge and were commended by the whole school. We are all very proud of our resilience champions and if you didn't manage to get picked this year, then keep trying your best to be in with a chance of being awarded next year. In the Parent Food Competition parents prepare traditional dishes. There were two categories to enter: savoury and sweet. Many countries from all around the world were represented in our annual cooking competition. This has been the first year we have had 2 categories: sweet and savoury. We were overwhelmed by the number of entries in both groups. High standards have been set up for next year!!! A big THANKS to all families who took part for their enthusiasm, and culinary skills. We were in awe of the faveolus flavours and presentation shown by all participants. 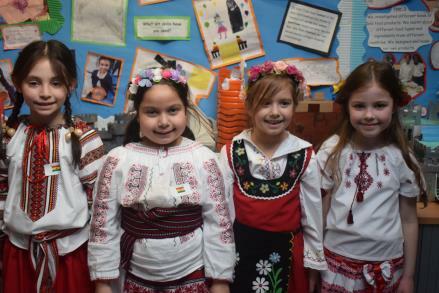 On Wednesday was the Mini World Experience where the whole school from Nursery to Year 6 literally became ‘The World’. Each class group focused on a country. Classes visited each other. Travellers were given not only a feast of multi-sensory experiences but learnt key phrases in the country’s official language. Parents were joined in with their child. What came through was a sense of pride in expressing ones heritage and at the same time appreciating and valuing cultures other than their own. 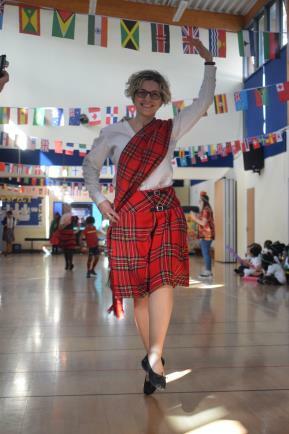 On Friday the main hall and heart space became a catwalk for children and staff showing off their traditional clothing in the Fashion Show and Carnival. 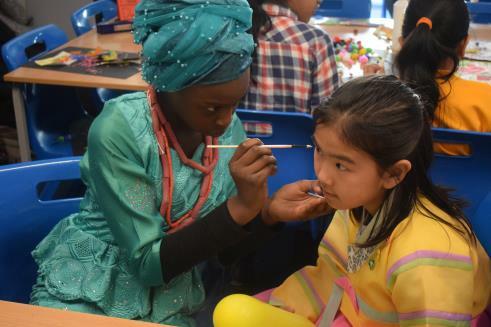 The Carnival ended with a kaleidoscope of vibrant effervescent colours, pulsating percussive sounds and animated creative movements that were displayed by each year group. 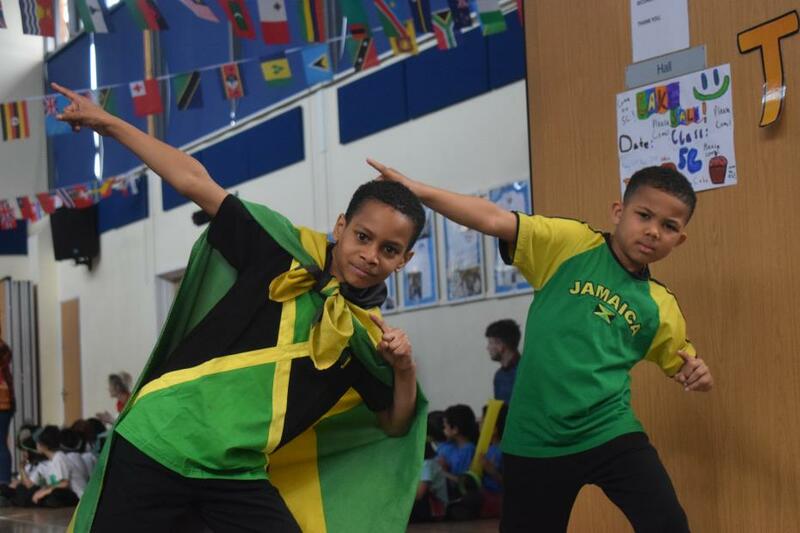 Children learnt what carnival means and choreographed a performance that was built into their learning in preparation for this event. 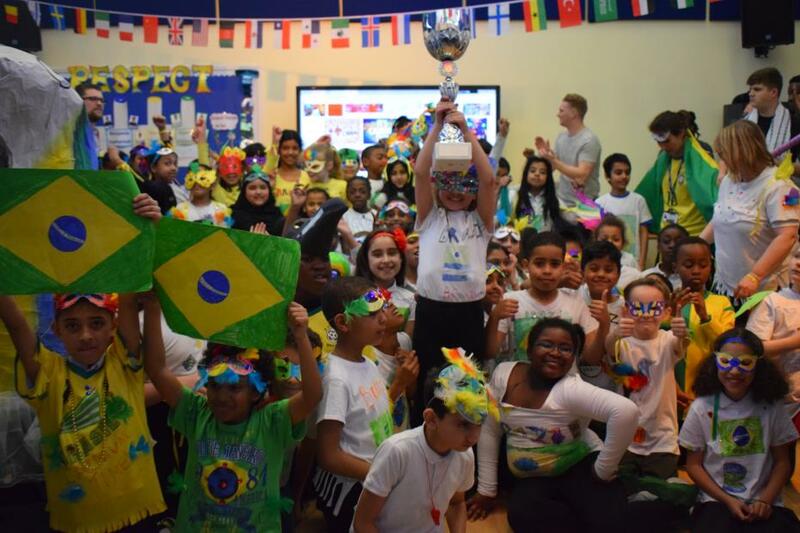 The performance was judged with this year the winners being Year 4 for representing Brazil and Argentina. 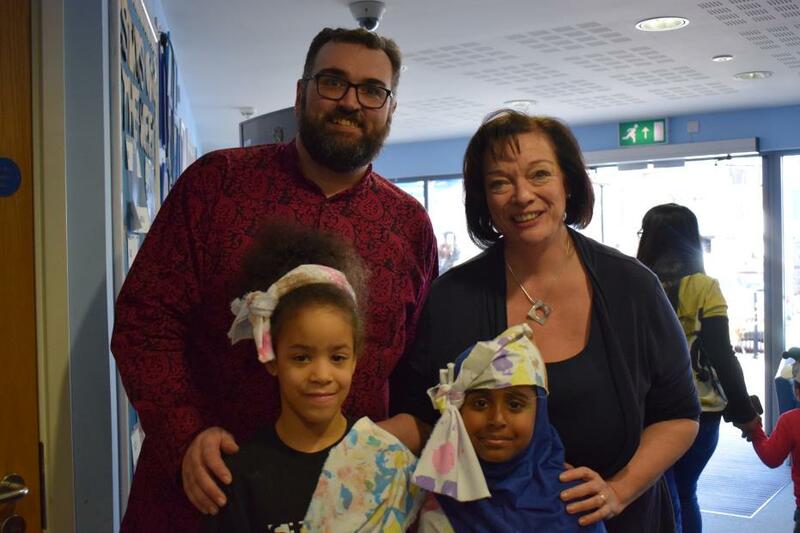 Paul Harris, the Executive Head Teacher of Curwen Primary and CEO for The Tapscott Learning Trust, said, ‘It was a fantastic week. It has grown from small beginnings. It is very special to Curwen. 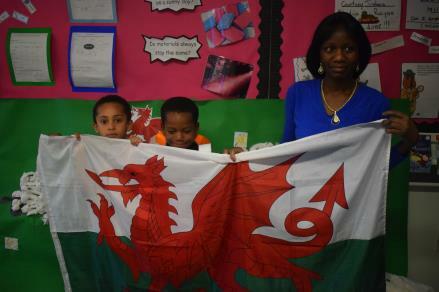 The children are proud of their heritage and are very eager to share theirs and showcase their learning of countries other than their own. There is much for us all to learn from this and value as part of living in modern Britain. This is what makes Curwen, Curwen. Lyn Brown MP, who attended the Carnival said: "This was the best part of my week. I loved every bit of it. The children were beautiful."